The purpose of this website is to maintain communication with family, friends and past colleagues. There is no resume or directly identifiable contact information and this is for prevention of identity theft. The website started as a college class project in 1994. It was once a online resume after college was completed, when I was job-searching. Later it became a showcase of computer programming, creative and project management skills. Once it was also a place to buy, and later sell, my Saleen Mustang. While working as a Project manager, Product Manager and web software engineer, I studied my ultimate career path and placed my findings online. Then I enlisted in the U.S. Navy and removed all this information after learning about kidnapping and identity security compromise. While in flight school I developed a large amount of personal study material and published it to the world in the gouge section. I became more involved in fitness and nutrition, and compiled the nutrition plan using dozens of contemporary references. Other reasons to keep the website running to send family and friends to the photo gallery which has over 14,000 photos as of November 2006. Lastly, should you find an error on the website, or want to contact me for any reason, feel free to use the form here. 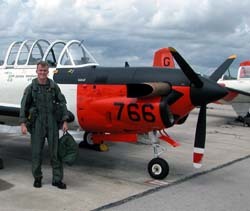 Navy OCS, API, T-34C Primary, Corpus Christi / VT-28, Advanced TH-57B / TH-57C HELO, SH-60B HSL FRS/RAG, & DLI NPS PEP United States Navy Gouge for Pilots & Aircrew. Direct access to the kodak website here. Password required (contact me). » What is a Saleen Mustang? What exactly is the Ford Mustang variant referred to as a "Saleen Mustang"? How to identify and verify one is an original made by the Saleen factory. Ever wonder what the career of a Product manager is like? What does it take to get there, and what are the differences among Product/Project and Program Managers? kodak photo gallery | aviation gouge | what is product management? | what is a saleen? custom error pages: 400, 401, 403, 404, 500.